Gas hobs could become a thing of the past if recommendations from the Committee on Climate Change are implemented. What is wrong with using gas hobs? Gas hobs and gas boilers use fossil fuels which produce greenhouse gas emissions and contribute to global warming. This is a problem because the UK is committed to reducing greenhouse gas emissions by 80% by 2050 based on 1990 levels. This has recently become even more of a problem as emissions from housing suddenly increased by 1% last year, which is believed to be due to reductions in the installation of household energy efficiency measures. Gas is cleaner than coal, but it is still bad for the environment. To reduce these emissions the committee has said new-build homes should be banned from connecting to the gas grid. Instead of gas hobs these homes could be equipped with electric induction hobs and homes could be warmed using heat pumps. An induction hob produces heat using copper wire coils which create an electro-magnetic field underneath a glass ceramic surface. Heat is only produced when a pan with a magnetisable base is placed on the cooking surface - pans made of copper or aluminium will not work. According to the Committee on Climate Change heat pumps produce efficient electric heating by operating "like a fridge in reverse". Where a fridge's temperature is kept low by the evaporation and cooling of a liquid, heat pumps can be used to take thermal energy from the air outside, where it is compressed. Heat is then transferred into the home using a series of coils. The Renewable Energy Hub says heat pumps are efficient because they don't depend on the burning of fuel to create the heat. Heat pumps use electricity, which in the UK often comes from fossil fuels, but this could be made more environmentally friendly if the electricity is powered by solar panels. There are currently around 160,000 heat pumps in the UK with annual sales of around 20,000. The Committee on Climate Change says this is significantly lower than in other countries and points to Italy where 1.5 million heat pumps were sold in 2016. Will my gas hob be taken away? The Committee on Climate Change said people shouldn't worry about throwing out their current hobs and gas boilers. They are recommending that no new homes are connected to the gas grid by 2025 at the latest. 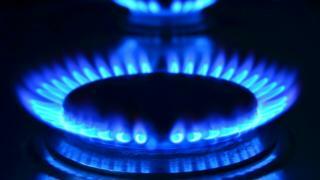 Government advisers want gas hobs to be banned from being installed in new homes within six years. The committee sets out the need to decarbonise heating in existing homes by 2050, through low-carbon heat networks, heat pumps and/or by piping hydrogen through the gas network instead of natural gas. Has gas been banned elsewhere? Last year the Dutch government introduced regulations which prevent new homes connecting to the gas grid. It wants all residential buildings to be off gas by 2050, reducing CO2 emissions from all residential buildings. Large cities like Amsterdam, Rotterdam and Utrecht have signed a Green Deal, hoping that over the next few years gas-less neighbourhoods will emerge. Although tackling existing homes will be difficult and expensive in the short-term, money could be saved on gas bills in the long term. The committee wants the government to consider the renovations as a national infrastructure priority, akin to widening roads. Government advisers say gas hobs should be banned from being installed in new homes within six years.